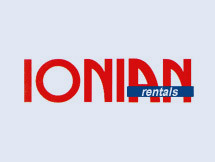 Our company is active in the car and motorbike rentals field for over 25 years now. Our long year experience offers to our customers security and fast service. Over 15 of the biggest tour operators of our island have trusted us. We co-operate with the best insurance company in Greece, so that we can assure our customers the best possible protection. We provide for our customers the biggest fleet of cars and motorbikes. Our company has a stuff of 20 specialized people, always at your service.